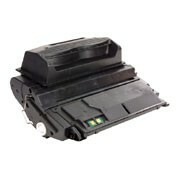 Remanufactured Toner Cartridges, Computer Network Services, Computer Hardware and Support. Milwaukee, Waukesha, Brookfield, Wisconsin. Microsoft & Cisco. Ansay Products offers the highest quality Remanufactured, OEM and Compatible Toner Cartridges at the internet's most competitive pricing. We specialize in Remanufactured Toners and carry the most popular brands including; HP, Lexmark, Okidata, IBM, Dell, Canon, Brother, Xerox and TallyGenicom. We also offer a wide variety of Laser Printers both new and refurbished. Interested in TallyGenicom Printer Ribbons? Check out our inventory and purchase from the trusted source for all your printing supply needs. Please shop at the following links to see for yourself why Remanufactured Toner Cartridges are a smart choice. You can save up to 60% over OEM Toners when you purchase Remanufactured Toner Cartridges. Remanufactured Toners are quality assured and inspected to provide reliability and performance that meet or exceeds new Toner Cartridges and Remanufactured Toners are 100% compatible and guaranteed! Best of all is the savings on the environment. By utilizing remanufactured toners we are preserving our environment. Please visit Ansayconsulting.com for all your Toner Cartridges needs!